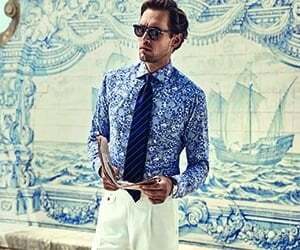 Luxurious evening shirt with a high level of details such as the hidden button placket and the almost invisible, jacquard floral pattern. Crafted from our high-performance and crease-resistant Signature twill fabric. Wear it with a tone-in-tone bow tie and you will definitely stand out on the evening party.